W.P. 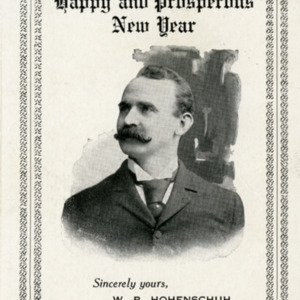 Hohenschuh: "A Happy and Prosperous New Year"
At the time of this postcard, W.P. Hohenschuh owned a furniture store located at 20 South Dubuque Street. Sent to W.S. 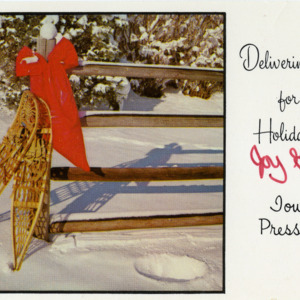 Pratt, postmarked December 30, 1906. Ben Franklin 1-Cent stamp.